I've been obsessed with the 1998 movie Practical Magic (starring Sandra Bullock and Nicole Kidman) for the past few months. I watched on Netflix (now gone, sorry!) some time ago and I think it is now influencing my summer state of mind. When the plot is good, the actors are good, and it's a feel good movie from the '90s (with the perfect amount of whimsy and gore) there really is nothing better. But I digress. On the sartorial front, it's all about comfy sweaters, cowboy crotch vintage jeans, slip dresses, and peasant tops. Exactly what I need for summer, reason being that they make me feel cool as a cucumber (both literally and figuratively) but also because they represent a certain youth and nostalgia so inherently a part of '90s films. 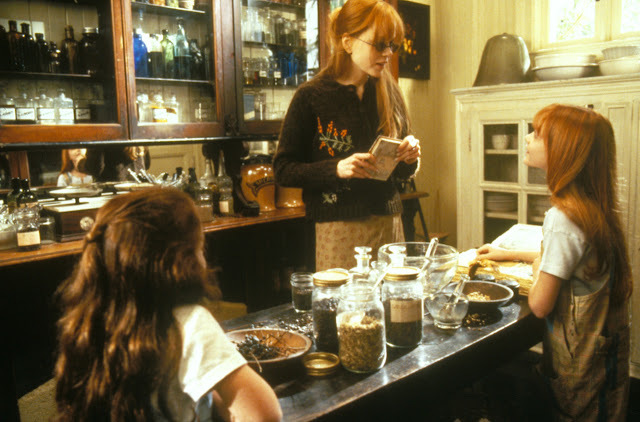 Although I'm not a grown woman looking back at her formative years, I still do retain some emotion after watching Practical Magic and thankfully, some of the outfit inspiration as well! Next on the shopping list: a few sun dresses and some cool vintage specs to channel Nicole Kidman's Gillian Owens all summer long. Maybe I should have called this piece "Why On-Screen Witches Are My Style Icons" because a few weeks ago I started dangerously binge-streaming Sabrina the Teenage Witch. The nostalgia really started rolling in. Interestingly enough, I felt drawn to some of the outfits, faux fur trim be damned. Especially enchanting is Aunt Zelda in season 2. 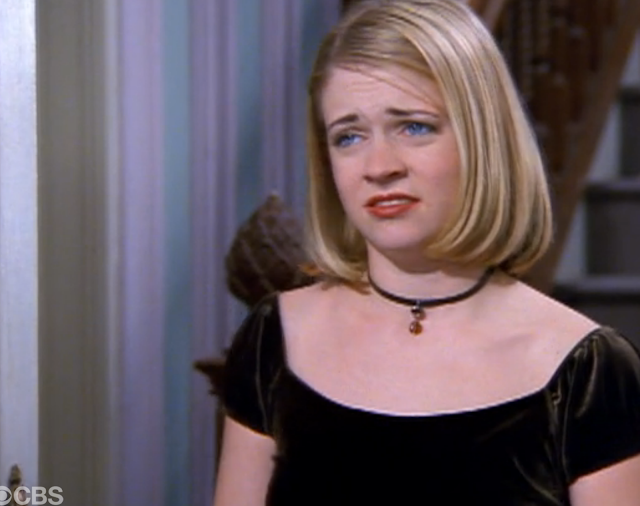 The choker necklaces, mini silhouettes, black oval sunglasses, and high-waisted denim (!!!) are certainly all relevant again. Fashion is cyclical - who would've thought? 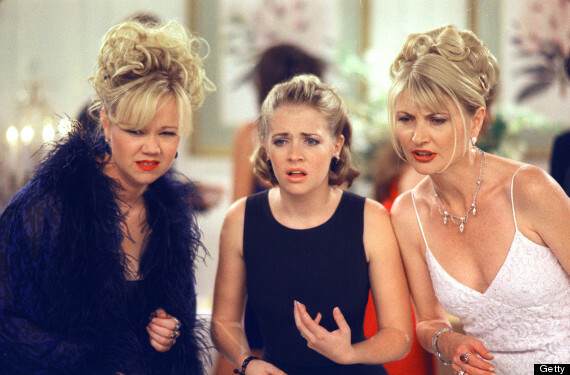 It's been said that "The 90s" didn't end until around 2003, and I think we can all agree on that point. Much as "The 50s" didn't magically end in 1960, the iconic fashions of the decade continued for a few years moving forward. Hence, this 1996 baby remembers rocking the heavy black boots and bell bottoms. Let us only hope platform flip flops never find their way back to our closets. All photo's not mine, property of rightful owners etc.